Are you visiting Miami for Presidents’ Day? After checking in at the Beacon Hotel in South Beach, be sure to check out the 2017 Miami International Boat Show. In one of the city’s most exciting events, hundreds of boats get displayed against a beautiful ocean backdrop. Along with introducing you to a wide variety of watercraft, this world-class show will feature fun and informative marine activities. You’ll also get the chance to buy nautical gifts and high-tech equipment. Even if you aren’t interested in owning a boat, stop by for the entertainment, the opportunity to learn more about boating, and the plentiful shopping and dining possibilities. Our hotel, situated on Miami Beach’s Ocean Drive, is only a short trip by car from the event. The primary location for the 2017 boat show is the Miami Marine Stadium Park & Basin, known for its amazing views of the Atlantic Ocean. 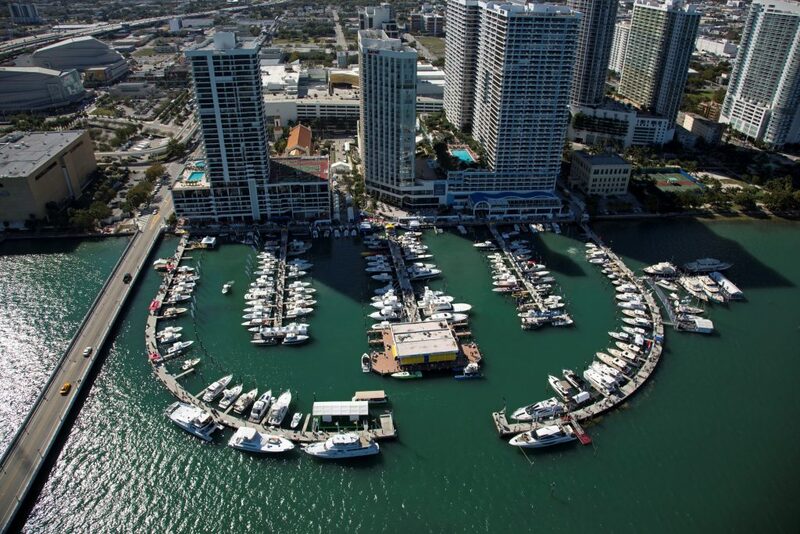 Strictly Sail Miami, which focuses on sailboats and yachts, is getting hosted at the Miamarina at Bayside. Complimentary shuttle buses and water taxis will transport people between the sites. The event will take place for five days, opening on Feb. 16 and running through Feb. 20. Children under the age of 16 can attend for free. What are our recommendations for the boat show? Try out cruisers, powerboats, yachts, sailboats, and other watercraft. Observe demonstrations involving boats, nautical equipment, and maritime skills. Register for skills training workshops, which are available for people with different levels of experience. Speak with boat dealers and manufacturers about their vessels. Enjoy paddle sports and other water activities. Browse the booths and colorful displays for nautical electronics, boat accessories, fishing gear, and a variety of potential gifts, include marine-themed clothing. Anyone traveling with kids will also be pleased with the show’s selection of games, educational activities, and child-friendly competitions. Are you wondering about dining options? The show’s organizers are working with some of the best caterers in the city. You’ll likely find food and drinks that suit your preferences. If you venture off-site for dining, choose one of the many restaurants near our hotel in South Beach, or pick one that overlooks the water in the downtown area of Miami. What other activities are available nearby? The Miami Marine Stadium Park & Basin is close to the Seaquarium, where you can swim with dolphins and visit manatees, penguins, sharks, and other fascinating sea creatures. If you love the outdoors, you’ll also want to explore the parks in the local area, including Bill Baggs Cape Florida State Park and Historic Virginia Key Beach Park. Even if you plan to spend full days at the boat show, take time in the mornings and evenings to familiarize yourself with the area around our hotel. Go biking on the Miami Beach Boardwalk, stroll through the Art Deco Historic District, or settle by the ocean with one of our beach chairs. When night falls, head to the clubs and bars that give South Beach its reputation for a thrilling nightlife. Feel free to reach out to us for more information about the boat show, various local attractions, and the special deals available to you as our guest. We look forward to your visit.